On July 17, the President of Belarus issued Decree #15 “On the issues of the general secondary education” to provide the people with equal opportunities for receiving the general secondary education meeting the present day conditions of the country’s socio-economic development, BelTA learnt from the presidential press service. The Decree provides an 11-year education scheme with a six-day school week. The sixth day of the school week has been designed for sports and health-improving activity and working education. The country is set to turn to an 11-year base school curriculum on September 1, 2008. Curriculum subjects in all general education establishments will be studied in line with the common programmes. The students demonstrating particular interest to some subjects will have an opportunity to learn them at a profound level at the facultative studies on their and their parents’ option. The Decree preserves the status of lyceums and gymnasiums which organization and activity is determined by the Education Ministry with due account for the legislation. The Decree also provides social support of the teachers. The salaries of the pedagogical staff of the establishments of general education, special establishments of education (except special pre-school establishments) and establishments providing vocational secondary education will rise on Janaury1, 2009. Qualifications increments will be given to the directors of such establishments and their deputies, and young specialists will get monthly additional payment. The Decree will help create equal conditions for receiving high-quality 11-year secondary education that meets the demands of the Belarusian economy and the wishes of the majority, the press service noted. The Decree will come into force on the day of its official publication except for Article 1 that enters into force on September 1, 2008. 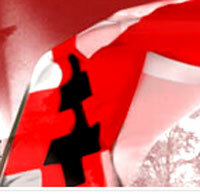 The document is of temporal character and will be submitted for the consideration of the National Assembly of Belarus. “The settlement of the visa issue could serve the best proof that the EU is really willing to cooperate with Belarus for the common good of the Belarusian people. After all, the recent entry of the neighboring countries into the Schengen agreement affected the ordinary Belarusians in the first place,” Andrei Popov said. “Judging from the numerous instances when the Belarusian people asked the Foreign Ministry for help, they encounter serious difficulties while seeking to get visas in many EU embassies in Minsk. As a result, whatever the EU representatives might say, the Belarusians are limited in their plans to see Europe. This is why we have grounds to say that the right of our citizens for the freedom of movement is violated in defiance of the OSCE treaties,” he added. Andrei Popov said that Belarus repeatedly asked the European Union to hold talks in order to simplify the visa formalities. “We keep thinking that this issue belongs to the area of practical relations between the countries, not the political area. We are repeating that we are ready to work with the EU to settle this issue,” Andrei Popov concluded. The resolution urges the UN member states to expand international cooperation to tackle the problem including by means of making a contribution to the creation of global partnership against slavery and human trafficking. “We are confident that ECOSOC as a coordinating body of the United Nations in social and economic issues should play an important role in discussing and designing a well-balanced and comprehensive approach of the United Nations to the human trafficking problem,” Sergei Rachkov, a deputy UN Ambassador of Belarus, said in his speech. The draft resolution calls on the member states, subsidiary bodies of the Council, relevant intergovernmental and non-governmental organisations to make their contributions to the preparation of the UN plan of action to prevent human trafficking, punish traffickers, protect and provide assistance to victims. This year Belarus is expecting to harvest not less than 7.3 million tonnes of grain crops. The country had a similar harvest in 2004, BelTA learnt from Konstantin Shashko, a seniour research officer of the scientific-practical farming centre of the National Academy of Sciences of Belarus. According to him, biological crop yield is not bad this year. For example, the yield of winter crops is currently at the level of 28.3-28.5 centners/hectare. In 2004 it was 28.3 centners/hectare. Scientists are more cautious of making their projections of spring crop yield as grain crops continue ripening. According to preliminary estimations, the yield will range within 30.5-31 centners/hectare. The gross grain harvest in agricultural companies is projected at 6.6-6.7 million tonnes. Taking into account personal subsidiary farms the yield may be well above 7.3 million tonnes (excluding maize). Considering the projected maize crop of 1 million tonnes, the aggregate grain yield will be no less than 8 million tonnes, Konstantin Shashko said. Today the weight of 1,000 grains of winter crops with the moisture level of 14% makes up 45-50 grams, which is quite good, Konstantin Shashko said. Spring crops keep ripening so it is too early to speak about harvest prospects. According to preliminary estimations, the weight of 1,000 grains of spring crops (barley, triticale and spring wheat) will be no less than 40 grams. 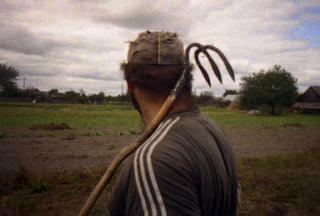 According to Konstantin Shashko, the harvesting campaign in Belarus will start around July 20-25. In 2004 the time frame was about the same while last year some 5% of the areas under crops were harvested by July 16. The Belarusian gas pipeline company Beltransgaz and the Russian gas company Gazprom will continue negotiations in order to settle gas payment issues, BelTA learnt from Eduard Tovpenets, the First Deputy Minister of Energy of Belarus, who commented on the Gazprom statement that Belarus failed to pay for the Russian gas in full. Eduard Tovpenets confirmed that some difficulties emerged between the sides again. He expressed his confidence though that all the differences will be ironed out and will not affect the gas supplies to Belarus. According to him, this is a purely internal problem between the economic entities - Beltransgaz and Gazprom. “It is natural that some problems can emerge in such relations. The contracts have been signed. According to Eduard Tovpenets, the Belarusian side insists that in H2 2008, the gas price should be the same as in H1. “We are currently paying $119 per 1,000 cubic metres,” he said. Beltransgaz Director General Vladimir Mayorov told BelTA that the negotiations are underway and asked to refrain from commenting on this situation. Deputy Chairman of Gazprom’s Management Committee Alexander Ananenkov and Vladimir Mayorov held a meeting in Moscow on July 16. The sides discussed the implementation of the contract on gas supplies and transit for 2007-2011, a special attention being focused on the necessity to pay for the Russian gas in full in compliance with the terms of the contract. Alexander Ananenkov noted that in case the Belarusian side fails to meet the contractual obligations, Gazprom will take a legal recourse. 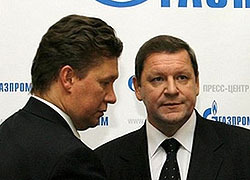 On December 31, 2006, Beltransgaz and Gazprom held the final round of talks on gas supply to Belarus. The parties identified the price for Russian gas as $100 per 1,000 cubic meters in 2007, they also agreed on the pricing formula from January 1, 2008 (which corresponds to the Russian gas supply pricing formula for Europe) and the discounts to the market price for 2008- 2010 (67%, 80% and 90%, respectively). Gazprom has warned Belarus that, if Belarus does not meet its obligations to pay for Russian natural gas in full, the company will retain the right to sue. The Gazprom press service reports that deputy head of the monopoly Alexander Ananenkov made that statement at a meeting with general director of Beltransgaz Vladimir Mayorov at which they discussed the contract for delivery of natural gas to Belarus from 2007 to 2011. “Particular attention was paid to the need for full payment of current deliveries of Russian gas to Belarus. It was emphasized that, according to the contract, beginning in 2008, the price of the gas for the republic would be calculated by a price formula that was the most comfortable for Gazprom deliveries to the countries of the CIS and Europe,” the statement read. The size of Belarus’s debt was not specified. On the evening of December 31, 2006, after difficult negotiations, Gazprom and Belarus signed a contract for the delivery and transit of gas. In 2007, the price of gas rose from $46.68 to $100 per 1000 cu. m. This year, Belarus is paying 67 percent of the European price for gas. In 2009 and 2010, it will pay 90 percent of the European price, then full price in 2011. In addition, Gazprom is buying a 50-percent share in Beltransgaz for $2.5 billion, in four payments. Belarus was unable to pay the price agreed on for 2007 in full at the time the contract was signed, so it was given six months to pay 55 percent of the sum, and until July 23, 2007, to pay the remainder. 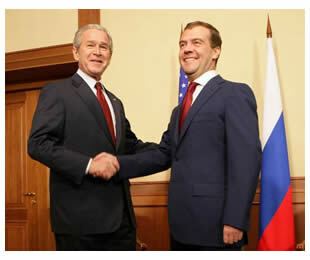 Belarus did not do so, but paid on August 9, 2007, after a short conflict with Gazprom that ended with an ultimatum. In a related story, Russia's Gazprom's claims to sue Belarus in case it does not pay for the delivered gas are part of the negotiation process between a gas provider and a consumer, the Belapan news agency quoted Belarusian First Deputy Energy Minister Eduard Tawpyanets as saying. He said that the negotiations for gas delivery have never been easy and have been built on compromise. "And we are looking for compromise this time," Tawpyanets said. As of now, he said, such an argument is the price of the Russian gas transit through Belarusian territory. "We think that if gas prices increase, so do pumping expenses together with transit costs," Tawpyanets said. At the same time he said that "an additional transit agreement remains unsigned". On 16 July, meeting Beltranshaz director-general Uladzimir Mayoraw in Moscow, deputy chairman of Gazprom's board Aleksandr Ananenkov said that if the Belarusian party fails to fulfil its obligations to fully pay for gas delivery, the Russian company retains the right to go to court. According to the formula envisaged in the Belarusian-Russian contract of 31 December 2006, in the second quarter of 2008 Belarus must pay 128 dollars per 1,000 cu. m. But in the second quarter Belarus paid the price of the first quarter, 119 dollars. Thus, Gazprom calculated that the Belarusian debt for the quarter may reach 45m dollars. Commenting on the position of the Belarusian party, Tawpyanets had said previously that it was decided at the session of the supervisory board of the Beltranshaz OJSC on 31 March that in the second quarter of 2008 Belarus would pay the price of the first quarter - 119 dollars. The head of Belarus' Central Election Commission said she would be unable to attend a planned international conference in Vienna on July 21-22 on election monitoring as she is one of the senior Belarusian officials who has been denied the right of entry to European Union countries. The head of the commission's legal department, Nadezhda Kiselyova, will represent Belarus at the Organization for Security and Cooperation in Europe (OSCE) conference, commission head Lidia Yermoshina said. "Logically, it is me who should take part in conferences of this kind, but this is impossible for a well-known reason - because I cannot enter Austria," Yermoshina said. Yermoshina also said OSCE observers are due to arrive in Belarus next month. The Belarusian Central Election Commission has also invited the central election commissions of other member countries of the Commonwealth of Independent States, Latvia and Lithuania to take part in observing the Belarusian parliamentary elections this autumn. Question: What's your comment on a recent statement by the EU Presidency in Minsk saying that "as long as Belarus and the European Union do not have a co-operation and partnership agreement signed under the European Neighbourhood Policy, the Schenghen visa costs and procedures won't change"? Answer: The Belarusian Side voiced its stance here quite a few times. The EU's coupling of politically motivated issues with visa prices is flawed. We gather that the numerous statements by the EU officials about their willingness to co-operate with the Republic of Belarus for the benefit of the Belarusian people could be explicitly underpinned by the practical things right in the visa domain. 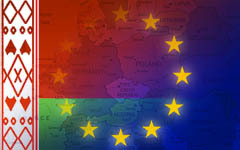 Since a number of EU countries have recently acceded to the Schenghen Agreement including countries neighbouring on the Republic of Belarus, ordinary Belarusian citizens were negatively affected. Their many addresses to the Foreign Ministry of our country show that the nationals of Belarus are faced up with scores of difficulties when applying for visas in many Minsk-based Embassies of the EU member states. Whatever the EU officials' wording of the statements, ordinary Belarusians are in fact limited in their travel plans and trips to Europe, as a result. Hence, this puts us in a position to talk about our citizens' infringed rights to enjoy freedoms of movement in breach of the OSCE existing accords. Quite a few times Belarus came out with proposals to the European Union to hold talks about a visa simplification agreement. We continue to believe that this issue belongs to a practical, basically, human, if you will, area, rather than political. We reiterate we are ready to work with the European Union on the issue. Belarussian Potash Company, the world's biggest exporter of the mined fertiliser, said on Wednesday it had clinched a 40,000-tonne deal with Sri Lanka at a record price of $1,050 per tonne. The price exceeded the $1,000 level announced by the company in its sales to southeast Asia and Brazil in May. "The company marked a success this month by winning a tender to sell potash to Sri Lanka at a record level for production of Belarussian and Russian potash plants in the region," the company said in a statement. The firm also announced it had concluded two 30,000-tonne contacts to Bangladesh and the United States, with supplies to begin in August. The Belarussian Potash Co is a 50-50 joint venture between Belaruskali and Russian miner Uralkali (URKA.MM: Quote, Profile, Research). It also acts as export agent for London-traded Uralkali (URKAq.L: Quote, Profile, Research). The company said in May it expected no further price rises in 2008 after levels nearly doubled in the first few months of the year, but it made that prediction contingent on an absence of sharp oil price rises. In its latest statement, it said demand for potash was rising and consequently prices for potash were expected to be maintained over the next few years. "The main factors are growth in world agricultural markets, population growth and an improvement in living standards." ING analyst Alexandra Melnikova in Moscow said prospects for the market in the short-term were excellent, predicting an average price for next year of $1,200 per tonne. "We are more concerned about longer-term performance, when in 2011-2012 supply from green fields could disrupt market fundamentals. We have our long-term potash price on the $500 level," she said. The company says it accounts for 33 percent of potash exports worldwide and shipped 12 million tonnes to buyers in 45 countries last year. Lena Maiseyeva, 19, left, was a close friend and college roommate of Sviatlana "Sveta" Auseichyk, and witnessed the accident that claimed Auseichyk's life. An 18-year-old Belarusian student who dreamed of being a journalist and raising a large family is being mourned by friends and coworkers in Scarborough after her tragic death. Sviatlana "Sveta" Auseichyk was stuck by a motorist July 3 on Route 1 as she bicycled home from work with two friends. She died July 9 at Maine Medical Center, Scarborough police said. The driver of the vehicle that hit her, 20-year-old Peter Juarez of Scarborough, has not been charged with any crime. Police said the accident remains under investigation. A woman at Juarez's home hung up on attempts to reach him for comment. Auseichyk was one of five Belarusian students working at the Dunstan Schoolhouse Restaurant on Route 1 through a summer work-study program, manager Jerry Tourigny said. She and several other students were living at the Blue Haven Motor Court, where they were headed at about 7:30 p.m. when the accident occurred. Lena Maiseyeva, 19, Auseichyk's close friend and college roommate, witnessed the accident. She said the car seemed to come from nowhere. "I can say that when the driver hit her, he stopped in two or three seconds after that," she said. "We didn't see this car." Auseichyk was conscious and talking to paramedics after the accident and was expected to survive her injuries, but died from complications at about 1:30 a.m. July 9, Tourigny said. Her mother, who had flown in from Belarus to care for her daughter, returned to Belarus July 12 with her body. A message board sign outside the restaurant memorialized "Sveta" this week, teddy bears and balloons piled at the base. Staff members wore purple ribbons in her honor. Tourigny said Auseichyk's coworkers were "devastated" by the tragedy. "She was a very smart girl, very bright," he said. "We only really knew her a short time but it was easy to see that she had a little something special about her - a little bounce in her step." Auseichyk was a sweet person who took care of everyone and made friends easily, but also had big dreams for her future, those who knew her said. "After finishing the university, she wanted to have an advanced degree in economics or journalism," Maiseyeva said. "She wanted to become a journalist. She wanted to find a great husband, handsome and kind. She wanted to have many children." Belarus, a constituent republic of the former Soviet Union, attained its independence in 1991. In the motel where the foreign students lived together, Auseichyk took care of everyone, washing the dishes and doing much of the housework as a matter of course, her friend said. "On the whole, I think that this person, she did not have bad qualities," Maioseyeva said. "It might sound strange, but it is really so." Investigating Officer Don Laughlin said it has not been determined whether drugs, alcohol or speed played a role in the accident, which remains under investigation. He said the case will be referred to the district attorney for possible prosecution when the investigation is complete. He declined to say what charges Juarez might face. Tourigny said Ausiechyk is survived by her parents in Belarus and two older half-siblings. Maiseyeva said she and the other students plan to finish their stay in Scarborough despite the tragedy. "It is a mix of feelings. I want to return to Belarus to be with her parents," she said. "(But) I lost Svietlana here. That's why I want to stay here." On July 15th and 16th Centralny court of Minsk heard the complaints against detentions of Andrei Koipish and Tatsiana Pekun. The young people were detained under suspicion of organizing an explosion in Minsk. Judges Bychko and Yesman did not find any grounds to satisfy the complaints. This way, the court recognized the fact that the pro-democratic activists are legally kept in detention without any grounds. The decision of Centralny district court will immediately be appealed in Minsk city court. Lawyers of the other detained under the blast case will also file complaints about the actions of the police. In Polatsk the police burst into an apartment which was rented by activists of the underground organization Young Front. According to the youth activist Mikalai Dzemidzenka, the police officers asked those who were in to open the door under the pretext of handing a writ to military enlistment committee. However, on entering the apartment the policemen started looking through books and newspapers. Besides, the police inspector Ivan Krakhotka called somebody over the phone and asked to come to the apartment. Being asked whether they had a warrant for search, the policemen answered by a question: ‘Are you registered in this apartment?’ They refused to tell the reasons for the search. Bear in mind that after the blast which had taken place in the morning of 4 July the law-enforcement agencies started massive searches at oppositionists’ apartments. As a result ten persons were detained, as the police found bolts, screws and rubber gloves during the searches, which allegedly can point at implication in the crime. No money to pay for gas? Belarus doesn’t perform its obligations to pay for Russian gas. On 16 June Alexander Ananenkov, deputy head of Gazprom's Management Committee warned the Belarusian authorities on the meeting with Beltransgaz CEO Uladzimir Mayorau that Gazprom might go to court if the Belarusian side doesn’t pay the debt. As Gazprom’s press release says, special attention was given to the need to full payment for current Russian gas supplies to Belarus in strict compliance with the terms of the contract for the supply and transit of gas of 2007-2011. A. Ananenkov noted in the course of the meeting, “If the Belarusian side continues to fail to honour its obligations to pay in full for Russian gas, Gazprom reserves the right to start court proceedings,” the statement says. It was emphasised at the meeting that under the contract since 2008 gas price for the republic has been calculated by the formula that is most comfortable for Gazprom’s gas supplies to the CIS and Europe’s countries, the press release says. Gazprom’s statement about going to law if Belarus fails to pay for gas is a part of negotiation process between a supplier and a customer, first deputy minister of energy Eduard Taupyanyets said to Interfax-Zapad. “It is a negotiation process,” E. Taupyanyets said commenting to Interfax-Zapad on Gazprom CEO’s statement that the Russian supplier would have to go to court if Belarus didn’t pay for gas. According to the first deputy minister, the negotiations on gas supplies have always been difficult and based on compromises. “We are looking for a compromise again,” E. Taupyanyets said. “Every side had its interest and is trying to gain it. Our aim is to obtain maximally low gas prices for our country. We will use arguments while we have them,” E. Taupyanyets said. According to him, for the moment this argument is cost of Russian gas transit through Belarus. “We think if the gas price is raised, expenses on pumping and transit will increase as well,” the first deputy minister explained. “At the same time an additional agreement on transit is still unsigned,” he added. As the Charter’97 press center informed, Belarus doesn’t perform its obligations to for Russian gas. In the second quarter of 2008 the Belarusian party paid for gas at prices of the first quarter, while according to the contract of 31 December 2007 gas prices for Belarus depend on the European prices and amounted to USD 119 in the first quarter of 2008, and USD 128 per 1,000 cubic meters in the second one. Belarus pays 9 dollars less for 1,000 cubic meter since April, Gazprom and Russian officials believe. Belarus purchases from Russia about 20 bln cubic meters of gas per year. Thus, debt for a quarter can amount to USD 45 mln. Will Russia's new policy paper renew Russia-West ties? Russia earlier this week issued a foreign policy document proposing a strategic partnership with the United States and a collective security system across Europe. But such a good-will gesture coincided with two separate military exercises by the United States and Russia near Russia's southern boarder, and analysts remain skeptical about whether the so called Foreign Policy Concept could heal the lingering Russia-West rifts. "It is necessary to switch over Russian-U.S. relations to the state of strategic partnership, to overstep barriers of strategic principles of the past," says the document posted Tuesday on the Kremlin Web site. Russia and the United States should "concentrate on real threats, and where differences persist, to work on their settlement in the spirit of mutual respect," says the paper ratified by President Dmitry Medvedev. Moscow will work along with Washington in taking confidence-building measures, ensuring transparency in space explorations, anti-missile defense and non-proliferation of weapons of mass destruction, securing development of peaceful nuclear power, enhancing cooperation in countering terrorism and other challenges, it says. However, the often soft-spoken Medvedev Tuesday slammed a U.S. proposal to deploy missile shield components in Central Europe, which have soured bilateral ties since it was raised in early 2007. "We will be forced to adequately react to this. Our American and European partners have been warned," he said in a speech to Russian ambassadors. Also Tuesday, the United States and Georgia launched a Pentagon-funded joint military exercise in the South Caucasus region, while Russian troops were taking part in another drill near the border region. Both Moscow and Washington have denied any connection between the war games which involved some 1,000 U.S. troops near Georgia's capital Tbilisi and 8,000 Russian troops. Many analysts, however, believe that the military exercises were held against the backdrop of a deteriorating relations between Russia and the U.S.-backed Georgia that is seeking NATO membership. The policy guidelines, hardly diverged from the previous ones during the years under Medvedev's predecessor Vladimir Putin, also highlighted Russia's relations with its European partners. Russia hopes to build an open and democratic collective security and cooperation system across Europe, it says. A unified Europe should be based on equal cooperation among Russia, the European Union (EU) and the United States, it says. Medvedev proposed in a Russian-EU summit in June an all-European summit for preparing a pan-European security agreement, which is seen as an effort to reduce the EU's security dependence on the United States. But analysts say that such a deal is not likely to be reached any time soon as Europe has been divided into an eastward-expanding NATO-EU bloc, including Georgia and Ukraine, and the shrinking Russia-CIS Collective Security Treaty zone. 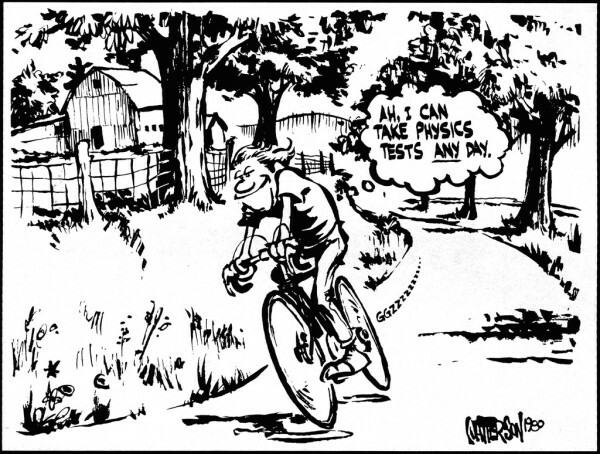 "Is it a realistic approach? Not really. I find it hard to imagine a magician-diplomat who could cobble together a security agreement from this motley crew," said Vladimir Frolov, former diplomat and a Moscow-based thinktank chief, in a comment on the Russia Profile. Security concerns in Europe have especially heightened due to the unilateral declaration of independence by Kosovo and the U.S. anti-missile plans. Medvedev Tuesday called Kosovo's independence, backed by many nations, a "sad" event that violated international law, and said the planned deployment of U.S. missile defense facilities in central Europe would undermine security. In spite of the confrontations with the western nations, Russia has repeatedly called for multilateral cooperation and reform of international institutions to ensure global security. "I am convinced that with the end of Cold War the underlying reasons for most of bloc politics and bloc discipline simply disappeared," Medvedev said Tuesday. "It's absolutely essential to identify and resist the attempt of national or group interests to ignore international law," said the president who took power in May. "The experience of recent years, especially in Iraq and the Middle East, shows that today's global problems cannot be resolved through the direct use of force," he said. "We need reform of international institutions and a strengthened role for the United Nations. This position of ours remains unchanged," he said. The Foreign Policy Concept also echoed such an idea by slamming unilateralism and advocating multilateral cooperation. The United Nations should play a core role in adjusting international relations and coordinating policies, it says. Russia will actively engage itself in the Group of Eight, a club of industrialized countries, Commonwealth of Independent States (CIS), the Asia-Pacific Economic Cooperation (APEC) and other international organizations, it says. Russia will also enhance cooperation with emerging economies such as China, India and Brazil, it adds. Only by doing so, can Russia seek to address its thorny issues with the west and regain its influence on the world arena, observers say. 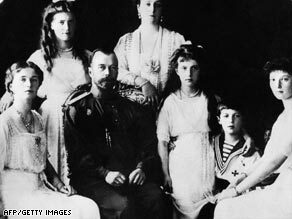 It was 90 years ago Thursday that Russia's last royal family was executed -- but this year's anniversary comes with scientific proof ending years of speculation that some of the Romanovs managed to survive. Medical, forensic and ballistic tests conducted in several U.S., Russian and Austrian laboratories identified bone and tooth fragments unearthed last summer as belonging to two missing children of Czar Nicholas II. Chemically damaged and burnt remains found outside the city of Yekaterinburg in 2007 are those of Crown Prince Alexei, 13, the last emperor's only son and heir to the throne, and his sister Grand Duchess Maria, about 19, according to the Investigative Committee of the Russian Prosecutor General's Office. "The remains that were found belong to Alexei and Maria. We can say that with certainty," Vladimir Solovyov, a senior investigator with the committee, told a news conference Wednesday. Bolsheviks executed the czar's family and a few servants July 17, 1918 in the basement of a home in Yekaterinburg. But the two children's bodies were missing for decades, leading to persistent hopes among royal supporters that one or both of them had survived. Although the investigative committee stated the remains belong to Alexei and Maria, its report said scientists will nonetheless continue comparing DNA from the remains to that of the living Romanovs. "We have to be really careful with release of the information, because previously too many unnecessary disputes happened regarding the DNA data and genetics data," said Evgeny Rogaev, a czar family DNA researcher for over a decade. "We have to complete our analysis. There are some new possibilities, new findings -- some findings of a blood sample, for example, in museum storage in St. Petersburg recently, of Nicholas II. It is a potential future study." Since last weekend, Russian royalists have been commemorating the killings of the last members of a centuries-long imperial dynasty by singing, praying and joining religious processions. Grand Duchess Maria of Russia, the head of the Russian Imperial House and Nicholas' great-grandniece, has come from Madrid to visit places related to the royal saga and meet Russian Orthodox Church representatives and relatives. The ceremonies culminated Thursday in Yekaterinburg, in the Ural Mountains about 880 miles (1,400 kilometers) outside Moscow, at a cathedral built on the spot where the Romanov family was killed. Both sets of remains were found around that area. The so-called second burial spot is about 230 feet (70 meters) away from the first grave discovered in 1991, where bone fragments of Nicholas II, his wife Alexandra and their three daughters were exhumed. Those bodies were solemnly buried in 1998 in a cathedral in St. Petersburg among other Russian royalty crypts. The Russian Orthodox Church canonized Nicholas and his family two years later. The two newly identified bodies, however, remain unrecognized by the church. The Russian Imperial House of Romanov announced they would follow the Russian Orthodox Church's opinion and therefore also refuse to recognize the remains as Emperor Nicholas's offspring. "Of course, as a head of the Imperial House, nothing would please me more than (if) these remains would finally be those that we've been looking for so many years," Grand Duchess Maria told CNN. "But, unfortunately, some dark forces around the country have popped out some doubts about whether they really are. That's why the church and the patriarch have asked to have questions answered about previous remains and these. But unfortunately these questions haven't been answered." Grand Duchess Maria of Russia also recently filed two new court appeals in a long-running battle to get the Russian government to recognize the last czar's family as political repression victims and to recall the death sentences issued by the Soviet government in 1918, calling them a symbolic beginning to the Soviet mass repressions. "It is pleasant for somebody who has a relative or a grandfather or father who died, and the whole country believed him to be an enemy of people, that finally it be proved that it's not that, and you can carry your name with pride again," she said. The hero and heroine of the Orange Revolution are once again on the brink of divorce. And it's ordinary Ukrainians who are paying the price. In the seven months since President Viktor Yushchenko and Prime Minister Yulia Tymoshenko reunited in a coalition government with vows to carry out crucial reforms, they have spent more time sniping at each other than governing. Experts say the question isn't if, but rather when the coalition will collapse. Meanwhile, Ukrainians are having to tighten their belts to cope with 30 percent inflation — the highest in Europe. Economic progress has been hampered by rampant corruption and the lack of judicial, land and other reforms. "It's hard to imagine how could it be worse. They simply haven't done anything. It's been a political crisis," said political analyst Ivan Lozowy. The country's top two officials were allies when they led the 2004 pro-democracy protests that shook this former Soviet republic loose from the grip of Russian influence and launched often chaotic democracy for its 46 million people. While they share a common vision of a more Western-leaning Ukraine, the bookish, careful Yushchenko and the glamorous, impetuous Tymoshenko are seen as likely opponents in the 2010 presidential election and they have sought to undermine each other at every turn. The sense of disappointment over broken promises of prosperity and quick European Union integration has devastated Yushchenko's popularity — his support ratings in polls have sunk below 10 percent. Tymoshenko has dropped from 30 percent to 20 percent. Their rivalry has severely strained the governing coalition. Last month, two lawmakers quit the alliance, threatening its ability to hold on to the narrowest-possible majority in parliament. Most experts believe Yushchenko and Tymoshenko will replace the defectors and restore the minimum of 226 lawmakers needed to keep the coalition in power. But the experts still don't expect the government to last beyond the fall. Analysts predict Yushchenko may call yet another early parliamentary election — the third in less than three years — or someone will form a new coalition, this time involving the opposition. Tymoshenko, 47, has seen nearly every initiative of her government either challenged or blocked by the president's office. Most notably, her attempts to privatize key enterprises and raise money for the budget have been stalled by presidential decrees. Her program to compensate millions of Ukrainians for savings lost amid the Soviet collapse also has been put on hold. The rivalry reached its peak in May when Tymoshenko's faction in parliament blocked the rostrum and prevented Yushchenko, 54, from delivering his state-of-the-nation speech. An embarrassed president was forced to post his speech online. "Both sides have used the budget dispute as a tactic in their longer-term fight for political supremacy," said Geoffrey Smith, strategist at the Renaissance Capital investment bank in Kiev. There have been some achievements. Experts praise Tymoshenko for cleaning up the shady natural gas trade with Russia and removing intermediaries that were widely seen as mechanisms to siphon large sums money into private pockets. Yushchenko, meanwhile, is noted for his push to get NATO membership for Ukraine and bring it closer to the European community. Despite his failings, many credit him for his role in bringing freedom of speech, holding free elections and allowing civil society to gain strength. The International Monetary Fund (IMF) has urged Ukraine to take immediate measures to control inflation, as sustained high inflation would greatly harm the country's economy. At a press conference in Ukraine's Black Sea resort of Yalta on Tuesday, IMF Managing Director Dominique Strauss-Kahn expressed the organization's anxiety over Ukraine's unsustainable high inflation rate. He also called on other European countries to prevent or solve similar problems. "Even if you live with it (high inflation rate) for a very short term, it takes a very long time afterwards to sort out the consequences," Strauss-Kahn said at another press conference Friday. Ukraine's Consumer Price Index (CPI) for the first half of 2008 rose 15.5 percent year-on-year. Although the government this week set its year-end inflation target to 15.9 percent for 2008 against last year's 16.6 percent, experts estimate that Ukraine's inflation rate this year may exceed 20 percent. The District Court in Warsaw decided on Thursday to grant Tomasz Lipiec, former sport minister charged with corruption, bail of 80,000 zloty. The Regional Court for Central Warsaw has allowed an appeal of the defence counsel on the decision of the lower court, which decided to extend Lipiec's arrest till 17 September, on the grounds that there is a high probability that he had committed the crimes he is charged of, might obstruct proceedings and faces a heavy penalty of up to ten years' imprisonment). Lipiec was to go on trial on 29 July, but on 14 July the Regional Court appealed to remit the case to the District Court, due to its importance and complexity. Lipiec, was sport minister under the previous Law and Justice (PiS) government, during the conflict between the government and the Polish Football Association after the then PM Jaroslaw Kaczynski suspended the executive committee, believing that they were doing too little to stamp out the spreading corruption among soccer coaches, players and officials. Charges against him include overstepping his powers, corruption and fraud. He pleads not guilty. Police in the Chicago suburb of Des Plaines say two 41-year-old men believed to have ties to a Polish crime group used stolen identities to secure about $100,000 in loans to buy expensive cars, jet skis and all-terrain vehicles. Artur Bledowski of Des Plaines and Grzegorz Glod (GRAY'-gorsh GLOWED) of Chicago, are each charged with four felony counts of bank fraud, ID theft, forgery and felony theft. Des Plaines Police Commander Dan Niemann says police believe the two obtained about $25,000 in loans from four banks to buy the vehicles, which the men then shipped back to Poland. Niemann said the men stole the identities of a Mount Prospect resident and at least two other people to get the loans. The conflict was so serious that Sejm Speaker Bronislaw Komorowski organized a vote on a motion from Law and Justice (PiS) to call for the seating of the Convent of Seniors and take a break. The deputies, however, did not pass the motion, which led to PiS deputies walking out of the chambers. Just minutes later PiS head Jaroslaw Kaczynski, together with over 100 of his deputies, blocked the stairway in Sejm and accused Donald Tusk of violating the rules of democracy. The former PM also demanded that the Justice Minsiter Zbigniew Cwiakalski revealed the details behind the investigation against Zbigniew Ziobro. PiS deputies have submitted a motion to the prosecutor to run an investigation into whether the accusations against Ziobro were falsified. The Youth Forum of the Law and Justice (PiS) party has filed a motion with the prosecution service against officers at the Prime Minister’s Office. In the opinion of members of the PiS Youth Forum, civil servants from the department of communications at the Prime Minister's Office have broken the law discrediting the President, Central Anticorruption Agency (CBA), National Bank of Poland (NBP) and Polish political parties by sending daily pointers by text messages to members of the Civic Platform on how to criticise and attack those institutions in the media. The PiS Youth Forum believes the text message pointers were slanderous. The news that the department of communications at the Prime Minister's Office sent out instructions to politicians from the ruling Civic Platform (PO) party on what they were supposed to say in the media was revealed in the Dziennik daily in July. "I love this club (Barcelona)" said Hleb, who joined Arsenal from VfB Stuttgart for 11.2million pounds in 2005. "I spoke with (coach Josep) Guardiola and it was very important for me to learn how much he wanted me. "I will give my best for this team and I want to win everything with Barca," added Hleb, who scored 10 times in 130 Premiership appearances for Arsenal. Barcelona - who have gone two seasons without silverware which led to Frank Rijkaard being sacked and replaced by Guardiola for this season - have sold Portuguese international Deco and on Tuesday two-time world player of the year Ronaldinho. Ivan Tikhon, the three-time world champion in hammer throwing, will be the captain of the Belarusian Olympic team in Beijing. This decision was made at a meeting of the Olympic team that was held in the Belarusian Ministry of Sport and Tourism on July 18. His candidacy was suggested by chief of the Belarusian Olympic mission in Beijing 2008 Alexander Grigorov. “Ivan Tikhon is not only a three-time world champion, he is also an honest person, loved and recognized in Belarus and abroad,” Alexander Grigorov said. As to the person who will bear the Belarusian flag at the opening ceremony of the Olympic Games, his/her name is not defined yet. NOC secretary general Georgy Katulin told BelTA that they are currently considering several candidates. The final decision will be made in Beijing and will depend on how the athletes will feel and other circumstances. FC BATE Borisov of Belarus scored a 2:0 victory over Iceland’s Valur Reykjavik in the first-leg match of the first qualifying round of the 2008/09 UEFA Champions League that took place in Borisov July 15. The two goals were scored by Gennady Bliznyuk (73rd and 78th minutes). The second-leg match will take place at Vodafonevollrinn stadium, Reykjavik, on July 23 (22:15 Minsk time). The winner will advance to the second qualifying round to face RSC Anderlecht of Belgium. The finale to the 17th international arts festival Slavonic Bazaar in Vitebsk will take place on the solemn closing ceremony on July 18. The organizers of the festival told BelTA that the ceremony will be held on the stage of the summer amphitheater. Participating in the concert will be Belarusian and Russian singers. Among them are Boris Moiseev, Sergei Lazarev, Vladimir Presnyakov and Natalia Podolskaya, “Samotsvety”, “Blestyashchie”, “Chelsea”, Yadviga Poplavskaya and Alexander Tikhanovich, art-group “Belarusy”. The directorate of the festival has prepared a surprise for the youth. They invited popular singers to take part in the concert “Dance till the morning comes” that will be held on July 19. Up 5.5 thousand artistes from 34 countries took part in the festival that was covered by 500 reporters from 14 countries. Participating in the festival for the first time were artistes from the Netherlands, Venezuela and South Africa. The 17th international arts festival Slavonic Bazaar in Vitebsk says good-bye to its spectators and the 18th international arts festival Slavonic Bazaar in Vitebsk is ready to take up a new song. The Day of Moscow will close the themed cultural programme of the 17th international arts festival Slavonic Bazaar in Vitebsk on July 17, BelTA learnt from the festival directorate. The Day of Moscow will feature a gala concert of Moscow artistes titled “Moscow playbill” which will be held in the summer amphitheatre. Participating in the concert will be Igor Nikolayev, Felix Tsarikati, Sergei Lazarev, Yulia Nachalova, Alla Dukhova’s ballet “Todes”, Nikolai Chelnokov’s circus, music bands “Gorod 312”, “TOKIO”, “Respublica” and others. Taking part in the press conference “Hour of triumph” will be a popular Russian singer Sergei Lazarev. Apart from that, the summer amphitheater will host a night rock-concert given by the music bands “Gorod 312” and “TOKIO”. Vitebsk spectators will also have an opportunity to see Yuri Ioffe’s play “He, she and Jenny” presented by the Moscow theatre “Empire of Stars” starring Emmanuil Vitorgan, Alexei Maklakov, Elena Shevchenko and Yulia Silayeva. The 17th international arts festival Slavonic Bazaar in Vitebsk will come to an end on July 18. A specter is haunting Central Europe — the specter of corruption. Graft, bribery, patronage and cronyism remain among the most significant challenges facing the Czech Republic. We are widely considered one of the success stories of the transition from communism to capitalism, with consistent GDP growth and generally rising standards of living. But we continue to lag behind in dealing with corruption, which has the potential to undermine the good work that has been done and limit future economic growth and societal progress. Corruption distorts all sectors of life. In this country, money that could be spent productively is instead used to grease the wheels, to buy access to doctors, to secure places at universities or win public contracts. As the anti-corruption nonprofit group Transparency International has explained so well, corruption is disproportionate in its effects: It hits the poorest the hardest. So, anyone concerned with social justice should also be concerned about tackling corruption. Successive governments, including the current one, give solemn promises to deal with corruption. Yet the problem persists. The European Union and the World Bank, among other international institutions, continue to zero in on the Czechs’ apparent inability to deal with this issue. Transparency International, as reported recently in The Prague Post, places the Czech Republic among the European Union’s most corrupt nations, closer in standards to Bosnia than to Denmark. What is to be done? Common wisdom is that the best strategy hinges on reducing the role and influence of government. Czech officials have certainly passed laudable initiatives to reduce bureaucratic red tape and simplify legislation, while simultaneously increasing oversight on public officials and bringing in tougher penalties for those caught in the act. And the pending privatization of Czech Airlines (CSA) and Prague’s Ruzyne Airport, along with massive reforms of the healthcare and pension systems, seem to hold the promise of reducing opportunities for corruption. It sounds extreme. Yet, particularly in former communist countries, corruption seems endemic to the political process. Author and activist Naomi Klein talks about this in her meticulously researched book The Shock Doctrine: The Rise of Disaster Capitalism. Klein notes that wherever the transition from communism to capitalism encounters problems, those problems are based on corruption. While countries move toward privatization, deregulation and a free market, economic shock therapists always blame a “culture of corruption” for derailing their reform programs. It may well be true that there is a historical hangover from the communist period, when the only way to get what you needed was to subvert and bypass the system, effectively creating parallel mechanisms reliant on corruption and favoritism. But while this may have established a baseline of corruption, transitions in post-communist countries have set new benchmarks. President Voclav Klaus’ “Turnpike,” the much heralded straight road from Husck to Thatcher, was the transition route chosen by Czech elites. They headed directly down this road, ignoring speed limits and exhortations to drive carefully. Klein and others contend that corruption is not an obstacle to this style of capitalism, but has been an inherent part of it, from Russia to Chile, Indonesia to Poland. But it is not enough to raise our hands, shrug our shoulders and lay the all-encompassing, obfuscatory blanket of corruption over everything that goes wrong. There are other forces at work, unleashed deliberately to pursue particular agendas. For example, given the private sector’s previous history, we should think twice in the future about transferring assets there. The high frequency of large-scale scandals in the business world in recent years offers ample demonstration that companies will often push as far into grey areas as possible to secure an advantage in the increasingly competitive global market. This means stretching regulatory provisions and disclosure requirements to the limit and, on occasion, flat-out deception and lying. We have already seen what happened in companies from Enron and Worldcom to Ahold and Deutsche Post. After a scapegoat was identified, a feeding frenzy for the assets of the disgraced company ensued and executives and spokespeople appeared on the nightly news, wringing their hands and promising to do better next time. Backward-looking legislation addressed the scams that were uncovered. But those measures never look ahead, anticipating the ruses that profitability and accelerating growth will require. Does it have to be like this? Consider the examples of the Nordic countries, which despite having relatively large state sectors and no shortage of money to tempt officials (especially when we consider Norwegian oil wealth), rank among the best performers in Transparency International’s Corruption Perceptions Index. The difference in the Nordic situation is that the governments responsible for large state sectors are accountable to more engaged populations, and by a media not content to feast on a diet of continual scandal and soap-opera politics. By contrast, in this country it seems that the government is never held to account and forced to deliver on its promises. The public apparently doesn’t want to get involved in politics, and the media drags everything down to a level that can be easily understood on the surface but draws a veil over the real arenas of power. Ultimately, apathy is the real specter haunting Central Europe, not corruption. Only by overcoming this ennui can we reverse the corruption that has beset our politics and engineer a return to accountable government. Only by reconstituting our public and political lives can we expect to be able to regain control over the decisions that affect us.